modus took the creative lead an a “Steam Punk” style approach to the collaboration between MY Coffee and the Commandery . 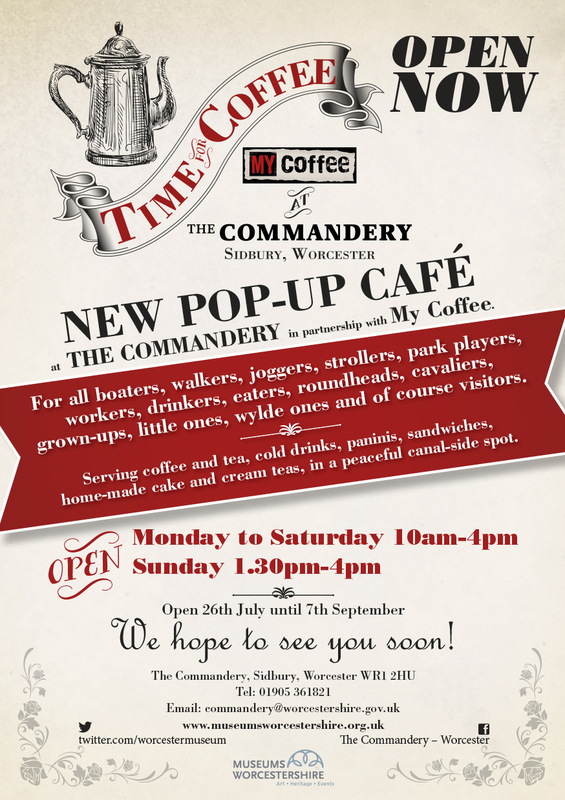 The pop up coffee shop will offer boaters,walkers ,joggers and even strollers a place to recharge and reflect in the wonderful surroundings @ The Commandery in Sidbury ,Worcester . The creative will be reproduced across multiple media formats including online and Outdoor Banners.